Shot by Alec Hemer, this image appeared in Better Homes & Gardens. Candace Bushnell's living room from ELLE DECOR. 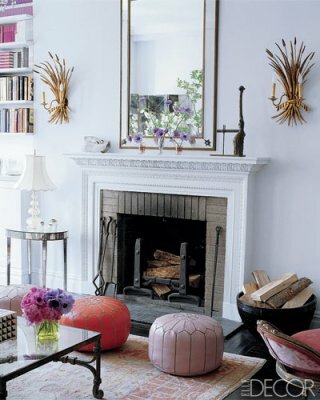 Stylist Emily Henderson's living room. Photographer Laura Resen's own upstate living room. An interior styled by Lotta Agaton. 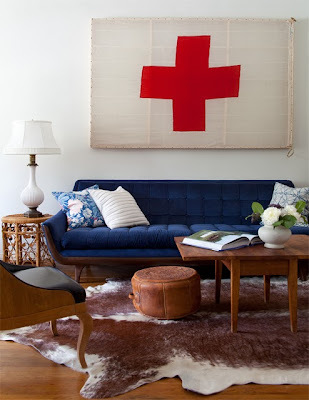 Editor Sarah Humphreys' living room from Blueprint magazine. Do you get any money for the Amazon ad I see on your blog? I want a pouf too. Did u find one that's affordable and cute? I have the same sofa as u and I worry the pouf will be too low. They have a large selection.